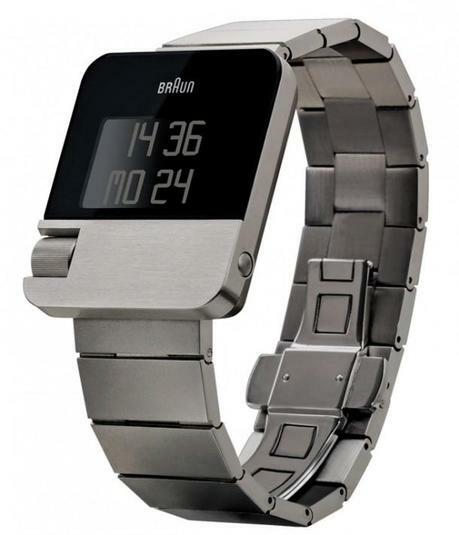 Made with Braun’s philosophy of going “beyond design”, this watch is packed with functions and gadgets. It features a chronograph function with a countdown timer, a 100 year perpetual calendar with date, an energy saving motion detector, water resistance up to 30 metres and 5 different languages to choose from. The watch has a 36.7mm x 10.1mm stainless steel case and bracelet which can also be replaced by a black rubber strap that can be purchased from the Braun website. It also comes with a patented EasySkroll v2.0 operating system with a liquid crystal display backlit by LED and scratch resistant K1 hardened glass. 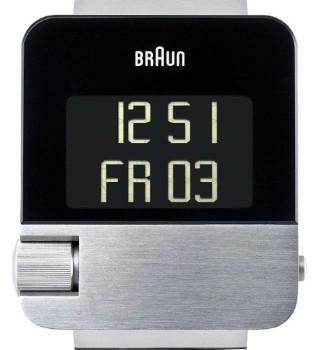 It has been awarded both an iF award and it has won a Red Dot design award in 2012 for its technical and design excellence, something Braun continues to win with many of their products. This watch can be found at The Watch Hut.